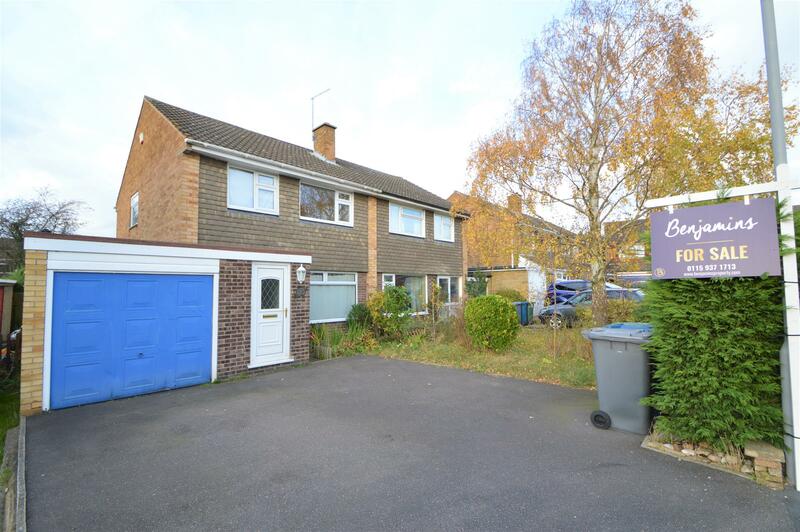 Benjamins are delighted to bring to market this three bedroom semi detached family home. The property is CHAIN FREE, undergoing a fantastic recent refurbishment with Stunning Fitted Kitchen, Rear Extension with Large Utility and additional downstairs Shower Room. This semi detached family house is ideally situated in a quiet residential area yet within reasonable walking distance of the excellent local amenities. The property has the benefit of a good sized dining kitchen, downstairs shower room, utility, entrance porch, gas central, heating, UPVC double glazing. Upstairs; Three Good sized bedrooms, with Shower Room. Private rear garden, driveway and garage. A viewing is highly recommenced to fully appreciate the standard of this home. 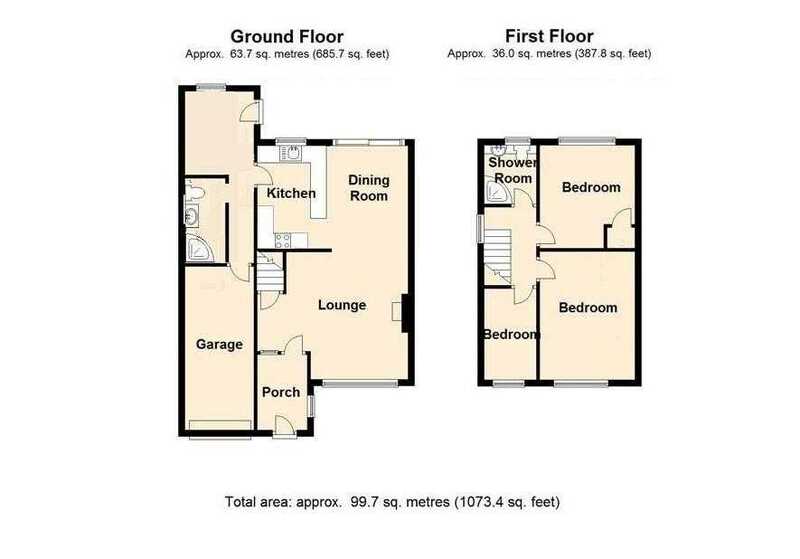 This is possibly one of the best 3 bedroom semi detached house's to come to market in the last 12 months, in Keyworth. Please call Benjamins Sales on 0115 9371713 to arrange a viewing. ** Please note that skirting boards are still to be fitted in the property, the materials have been sourced. UPVC door into entrance porch, tiled floor, radiator, double power socket, light, UPVC double glazed window the right aspect, half glass door into living room. UPVC double glazed to the front aspect, feature stone fireplace with gas fire, two radiators, under stairs cupboard with electrical consumer unit and gas meter. With a range of cream floor and wall mounted kitchen units, solid Oak work surfaces, 1£ stainless steel sink inlay with single drainer, integrated cooker and gas hob with extractor fan, UPVC window to the rear and door to the utility room. The family dining area has good space for a table and chairs and patio doors that leads out into the rear garden. UPVC double glazed window to rear aspect, plumbing for washing machine, light fitting, power sockets, electric meter, rear door with access to the garden and door to the garage and shower room. Fully tiled enclosed shower, vanity unit, wash basin with mixer tap and low flush WC, towel rail. UPVC double glazed window to the front aspect, TV aerial point, power sockets, radiator and ceiling pendant light. UPVC double glazed window to the rear aspect, with radiator, linen storage cupboard, ceiling pendant light, power sockets. UPVC double glazed window to the front aspect, bulkhead shelf, ceiling pendant light, power sockets, radiator. Fully tiled, with corner shower enclosure and a good sized white vanity unit incorporating wash hand basin, low flush toilet, drawers, cupboards and counter top over. Radiator, extractor fan and UPVC Double Glazed window to the rear aspect. With up and over rear door, electric light and combination boiler. To the front there is a conifer hedge and small lawn. The larger rear garden is enclosed with hedges and fencing and mainly laid to lawn. There is also a paved patio, established shrubs and small trees, paths, garden store and exterior lighting. Council tax band C under Ruschcliffe Borough Council.